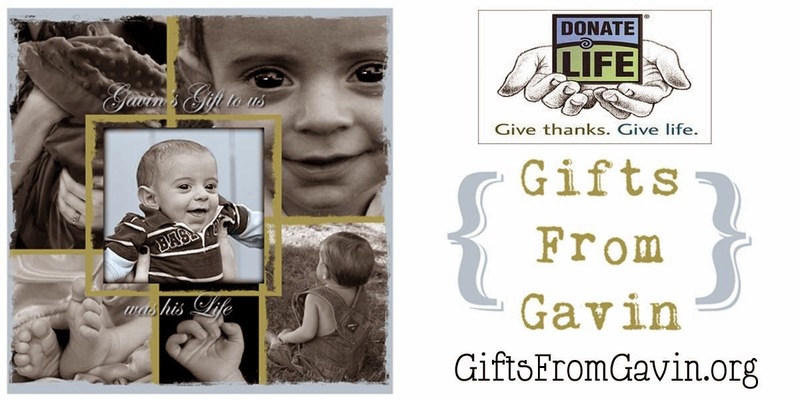 Gifts From Gavin: Donate Life! We've made lots of new friends over the last few years, and many of them don't know much about Gavin's illness. He was born with a genetic disease called Alpha-1 Antitrypsin Deficiency, which affected his liver. He was on the organ transplant list for 6 months to get a new liver which would have saved his life and cured him. During that time we received 3 offers, but all fell through at the last minute, and before a 4th match could be found, he got an infection that overpowered his immune-deficient body. Because there is such a LONG wait list for organ transplants in America, it is basically a game of being sick enough to move to the top of the list, but not too sick to actually be able to receive it. Many, many people die while waiting. There are over 100,000 people waiting on the list, and babies and children are the hardest to find donors for. I never gave organ donation a second thought before we had Gavin, and it was still kinda scary when I finally did fill out that form. However, it is a necessary, life saving action and completely worth it!!! ONE donor helps up to 50 people!!! The coolest part (to me) is that your corneas can actually repair blindness for two individuals. That is AWESOME!!! There are many myths and misconceptions about organ donation, but ALL major religions accept it as a final act of love and charity. Anyone can be a donor, all costs are covered, and you can still have an open casket at your funeral, if you so wish. And did you know that its not actually "official" when you only register through the Motor Vehicle Dept in your state? 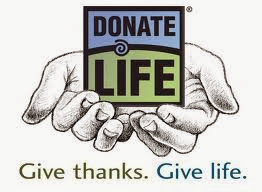 You ALSO need to fill out the form online through Donate Life America for it to be official! It is SO EASY!!! Literally takes a minute to fill out the form. Also make sure you let your loved ones KNOW your wishes, so they can make sure they are followed through. One Mom's honest journey through the grief of losing her child- the good, the bad, the crazy. 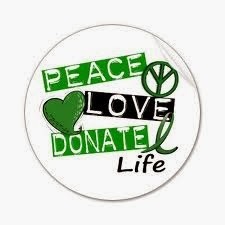 Register to be an organ donor! A guide to help you mourn with those who are mourning. I'm so glad when daddy comes home!